Powered by one of the world's most high-performance metric agent StatsBee, our custom metrics uncover new layers of insights into application performance and user experiences. With no data sampling, global percentiles built-in and high cardinality metrics and the ability to use our power SDKs Serverless, getting started will be one of the easiest and best choices your company can make today!. 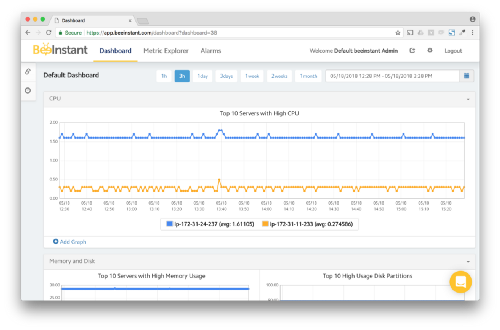 BeeInstant supports high cardinality metrics so engineers can track application performance and user experience in more detail. While most monitoring tools sample your data, BeeInstant cares about each and every observation to bring you the most completed and undiluted view. Global percentiles measure the actual customer experience at the service level. BeeInstant is designed from day one to support these most useful statistics. You can use BeeInstant's SDKs to publish metrics directly from Java or Golang codes. Tags or dimensions are supported out-of-the-box. No agent required to use the SDKs. If your application is serverless, using SDKs is the best option for publishing custom metrics. Using StatsD or Prometheus to publish custom metrics, switching to BeeInstant is as simple as running one command line to install StatsBee. No change required in your codebase. No data sampling. Global percentiles built-in. High cardinality metrics by default. Access to the extra layer of insights. Using StatsBee and PyStatsD to monitor loadsong api of Karaoke service written in Flask.